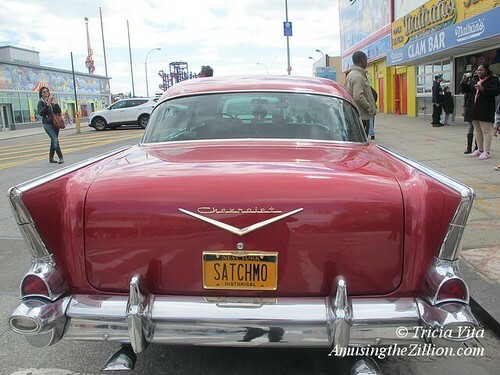 On Saturday in Coney Island, two classic Chevrolets in front of the original Nathan’s Famous were the center of attention for tourists and locals alike. 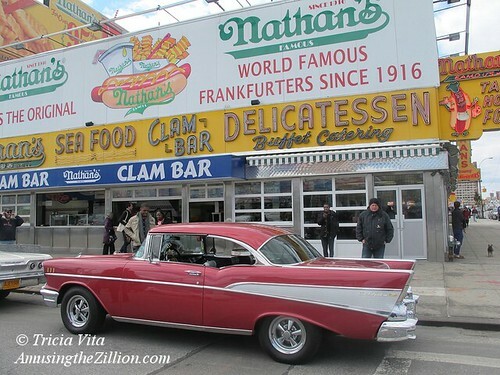 The 1957 Bel Air and the 1963 Impala were parked on Stillwell Avenue while their owners were inside ordering lunch. 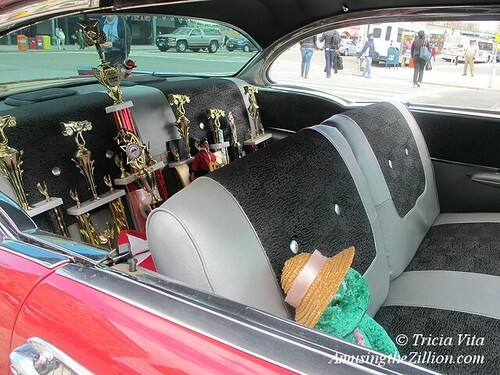 The rolled down windows of the Bel Air afforded a glimpse of trophies from classic car shows and souvenirs. Tourists from France, Scotland and Manhattan took advantage of the photo op while we were there. 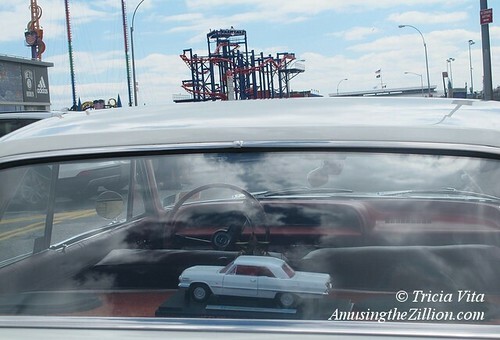 Here’s another photo that shows both classic cars. One of our friends shot virtually the same photo in black and white, lending it the look of a photo taken back in the 1960s. 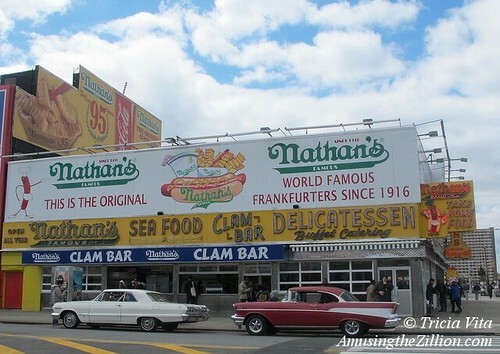 The original Nathan’s opened at this location in 1916.